With its focus on standardization, quality improvement, cost reduction, and efficiency, Lean's appeal is broad. Not every tool used by Lean manufacturing companies has an exact correlation in all other contexts, but in many cases, a slight adjustment is all that’s needed to leverage useful techniques in a wide variety of industries. Here’s a closer look at how a few industries are taking advantage of Lean software to meet their most important objective. 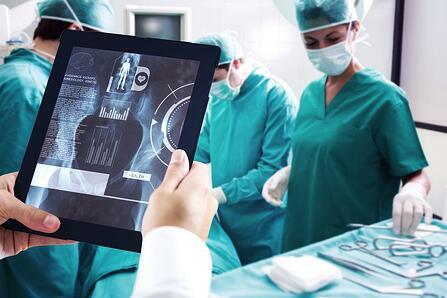 Healthcare organizations turn to Lean software to reduce some of this waste by capturing opportunities for improvement from the front-line staff. Everyone is encouraged to think about how to deliver value to the patient while reducing cost and inefficiencies within the organization. Many healthcare organizations now conduct daily “huddle” meetings using Lean software that helps visualize open improvement projects and speed the path to success. Human potential: Workers who are not matched with a job commiserate with their skill and experience levels. Lean software is vital in construction because employees are often spread across multiple locations with some people working primarily in the office and others spend most of their time on the job site. Cloud-based improvement technology makes it possible to collaborate from anywhere and puts the documents people need right at their fingertips. William Blazer, Professor of Industrial-Organizational Psychology in the Department of Psychology at Bowling Green State University and Dean at the BGSU Firelands College is the author of Lean Higher Education: Increasing the Value and Performance of University Processes. In it, he explains why Lean is becoming so popular in the higher education sector. Colleges and universities that practice continuous improvement rely on Lean software to connect what is otherwise a generally walled off organization. Cross-functional collaboration is easier when everyone has access to the same data and alerts and notifications keep work flowing smoothly no matter which department is involved. These are just a few examples of how Lean software supports non-manufacturing organizations in their quest for process perfection. The principles of Lean are applicable no matter the context in which they are deployed and the technology designed to support the is valuable across the board.